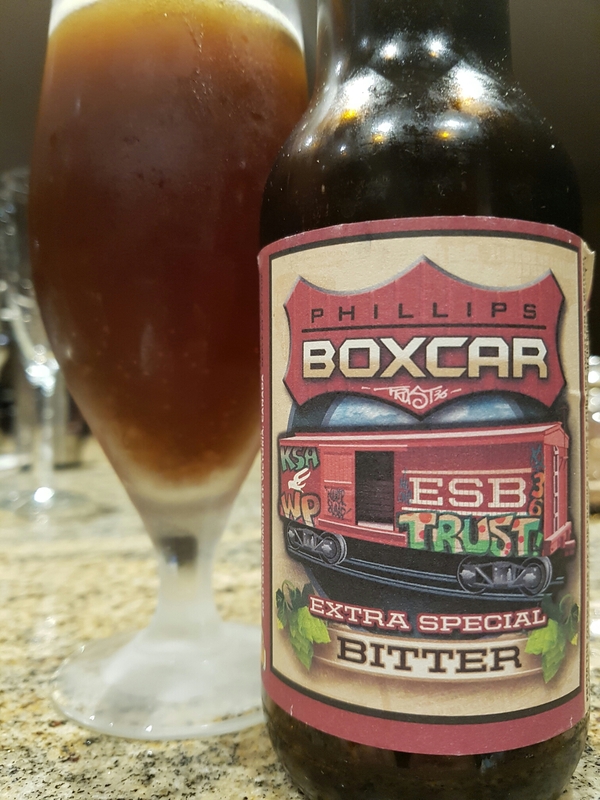 Boxcar ESB – Phillips Brewing Co. (Victoria, BC, Canada) | Justintoxicated. Visual: Pours dark copper brown with a lasting 1cm foamy head, micro suspended sediment, tight clustered glass of streams. Finish: lingering bitter without carry, airy-bready, residual malts. 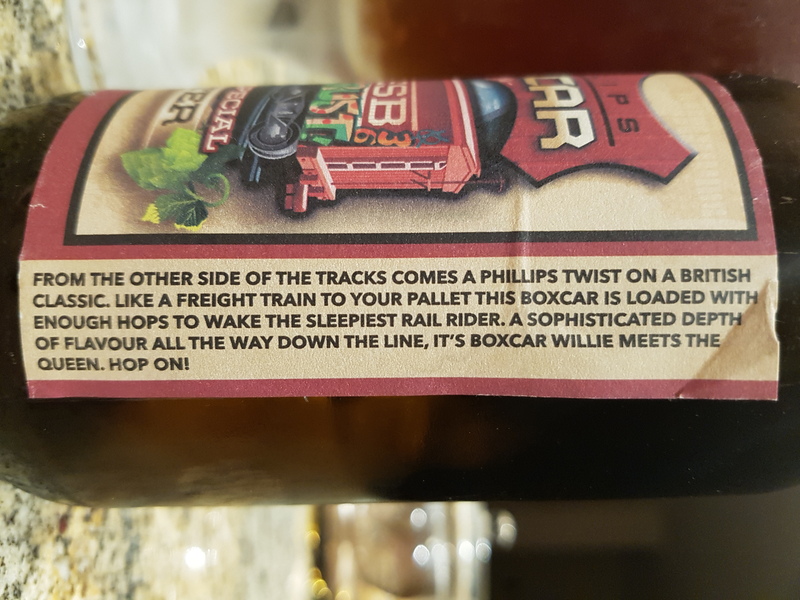 Summary: Like the majority of Phillips’ brews, slightly above average and not something you’d remember. The nose is better than the actual beer. The fullness or body is lacking in the mids and moreso in the finish.